Set includes 4 base rings for Twin and Triple 8"/55 cal. Turrets. A set of turrets is available separately (click here). In order to meet 3D printer requirements, these base rings are intentionally designed to be thicker than scale at the bottom. Once removed from their sprue, careful, gentle sanding of the bottom will thin these rings to a more scale-like appearance. Depending on which kit you own, some adjustment may be needed for best fit. The base rings are numbered to indicate which turret each base ring supports. The bottoms of the two forward base rings have accurate shear (slope) so that they will meet the deck's shear but remain perfectly level on top, just like the real base rings did. The two aft base rings are designed flat. 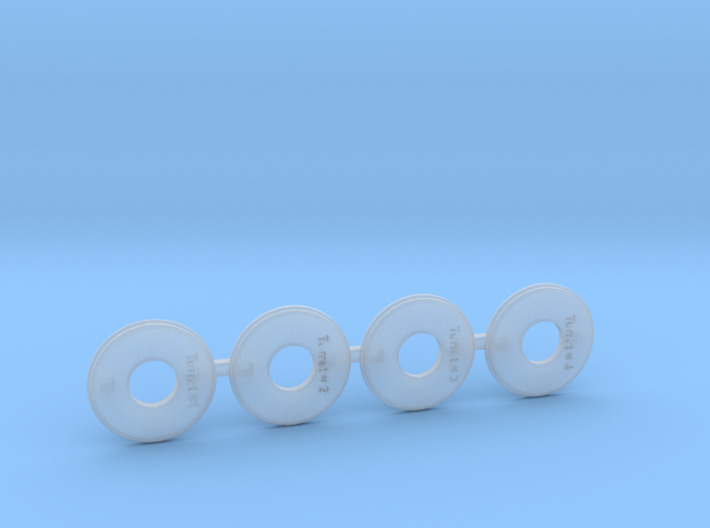 These base rings have accurate bolt detail on two levels. Each base ring is individually marked so that you will know which base ring is intended for the proper turret. 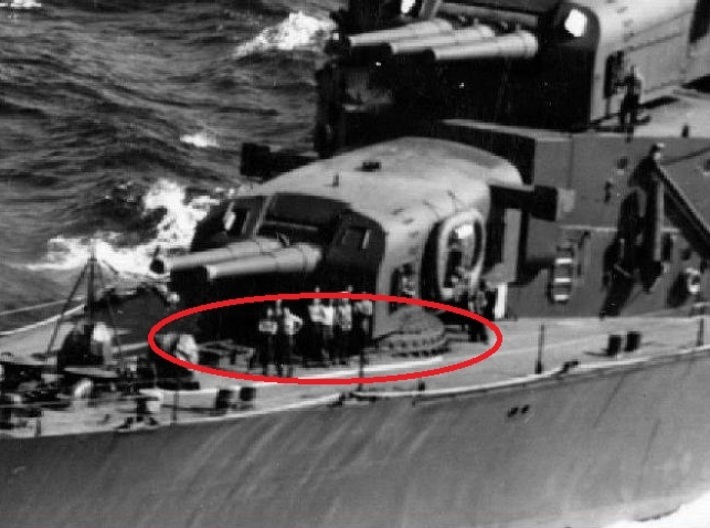 On the real ship, no matter whether the base ring supported a twin turret or a triple turret, the supporting base ring had the same diameter. 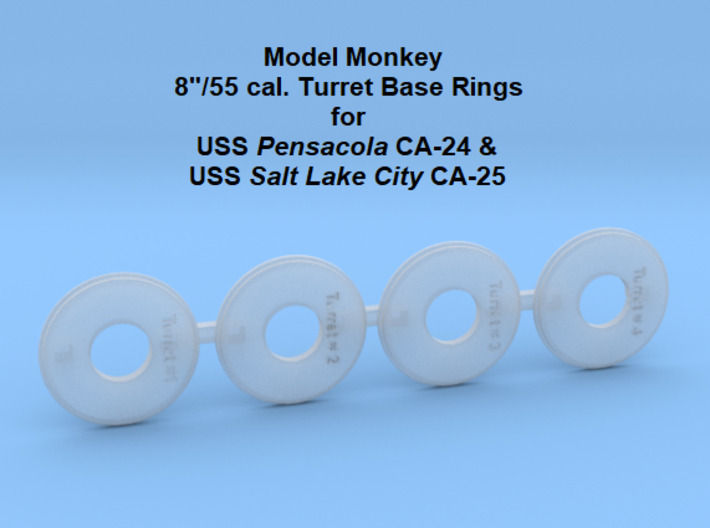 True to prototype, these model base rings also have the same diameter. © Model Monkey Book and Hobby. 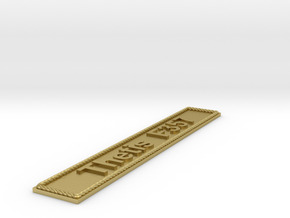 This 3D-printed item may not be copied or re-cast. 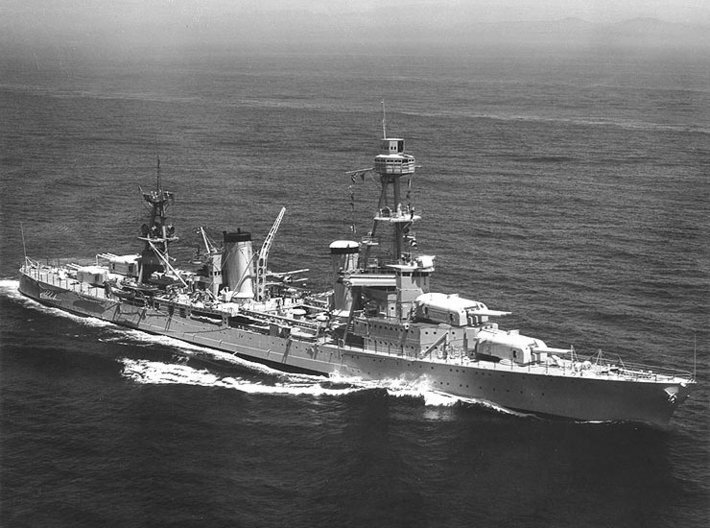 From Wikipedia: "The 8"/55 caliber gun (spoken "eight-inch-fifty-five-caliber") formed the main battery of United States Navyheavy cruisers and two early aircraft carriers. United States naval gun terminology indicates the gun barrel had an internal diameter of 8 inches (203 mm), and the barrel was 55 calibers long (barrel length is 8 inches x 55 = 440 inches or 11 meters).